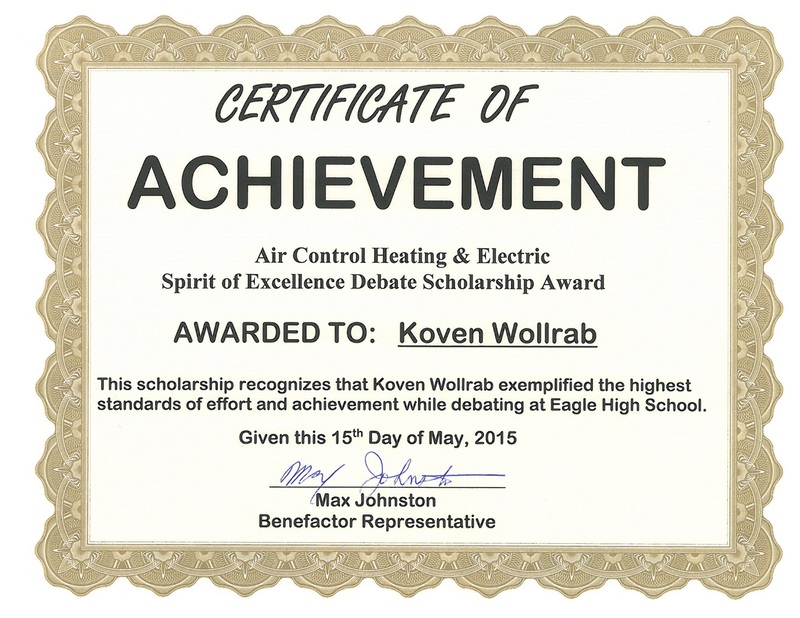 We’re now offering the Air Control Heating & Electric Debate Scholarship again for the 2017 school year for high school seniors in Idaho, Oregon and Washington. Fill out an application today! 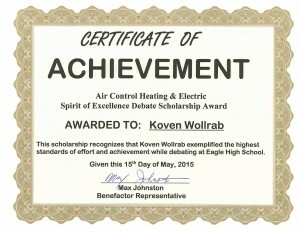 We’re pleased to announce the 2015 Recipient of the Air Control Heating & Electric Debate Scholarship – Mr. Koven Wollrab of Eagle High School in Eagle, Idaho. Congratulations Koven! This scholarship is made possible by donations from Air Control Heating & Electric, Inc. of Spokane, WA, your Spokane Heating and Cooling experts. "We believe that high school speech and debate programs develop essential skills for active and informed citizens to speak their mind and participate effectively in our system of government." This scholarship is judged primarily on achievement in speech and debate, but does not exclude need considerations. The deadline for this scholarship is April 30, 2016.